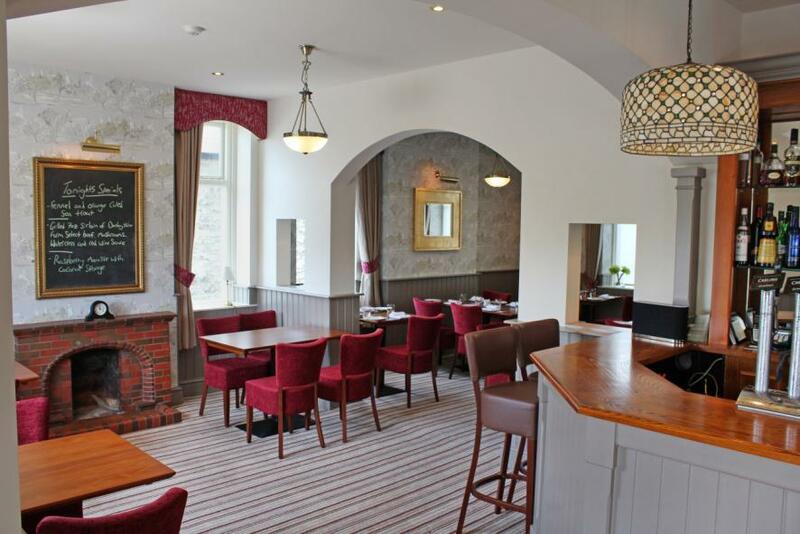 The linked restaurant and bar areas, tastefully decorated in contemporary style, afford the Inn a sense of space and light, which is further enhanced by the large windows, providing customers with glorious views of the surrounding countryside. There is on-site parking and wheelchair access to the restaurant, bar and toilets. Outside to the south is a terrace looking onto Bradwell Edge and there is further outside seating to the rear of the Inn so that in good weather there is ample space to relax outside for a drink or some al fresco dining. The restaurant features in the Michelin Guide, the Good Food Guide, Harden's Best UK Restaurants Guide and the AA Guide in which it is awarded two rosettes for its food. Whether you want a quiet drink with friends, perhaps a tempting snack from our blackboard menu, or take a table in the restaurant and select from our imaginative lunch and dinner menus you may be sure of the warmest of welcomes from the Samuel Fox team. You can take a tour of the restaurant and bar area by left clicking the image and controlling via your mouse.